Lisa Hendey, founder of CatholicMom.com, contacted us about revamping her incredibly popular group blogging site and giving it a facelift. Because the blog has so many authors, one of the challenges was to display as much content on the home page as possible. By using a 3-column approach and a judicious amount of images to break up the text, we were able to display over 70 headlines on the home page. 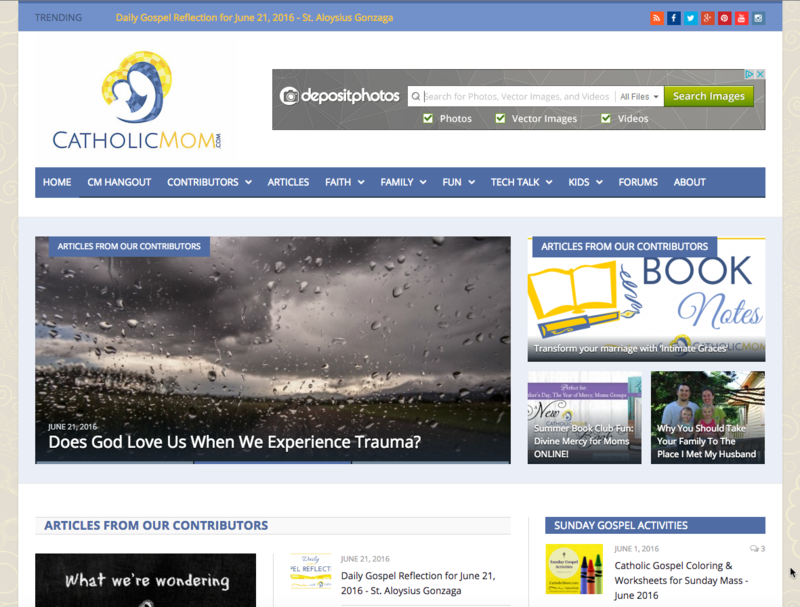 The CatholicMom.com website and community continues to be a powerful witness to the grace and blessings of Christian motherhood.